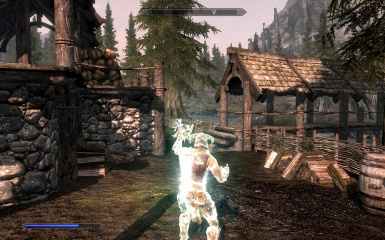 This is a spell from my mod \"Tristram In Skyrim\" that effectively emulates the \"Mana Shield\" spell from the Diablo series. ©1996 Blizzard Entertainment, Inc. All rights reserved. Diablo and Blizzard Entertainment are trademarks or registered trademarks of Blizzard Entertainment, Inc. in the U.S. and/or other countries. ©2001 Blizzard Entertainment, Inc. All rights reserved. Diablo, Lord of Destruction and Blizzard Entertainment are trademarks or registered trademarks of Blizzard Entertainment, Inc. in the U.S. and/or other countries. 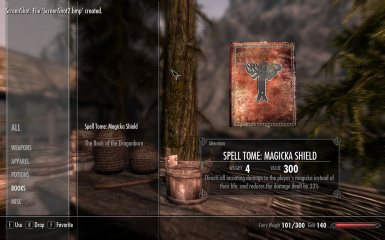 This is a spell from my mod "Tristram In Skyrim" that effectively emulates the "Mana Shield" spell from the Diablo series. This version is formulated to be useful in the world of Skyrim. If you like what you see from the mod, check out my main project! 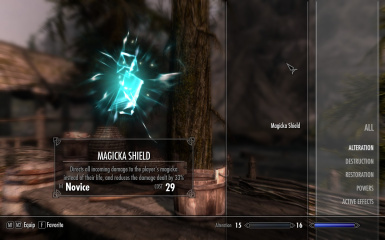 Magicka Shield is an extremely powerful spell that directs all incoming damage to the player's magicka instead of their life, and reduces the damage dealt by 33%. 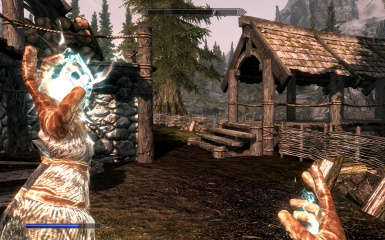 The spell lasts for 2 minutes, and if the player runs out of magicka, then the spell immediately dispels. Where do I get this spell? 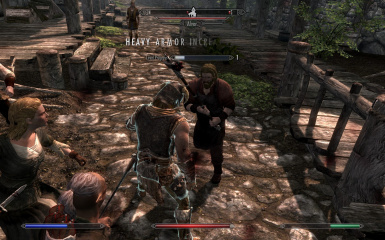 Belethor (Whiterun) sells the spelltome for less than 1000 gold. A full-scale recreation of Diablo.